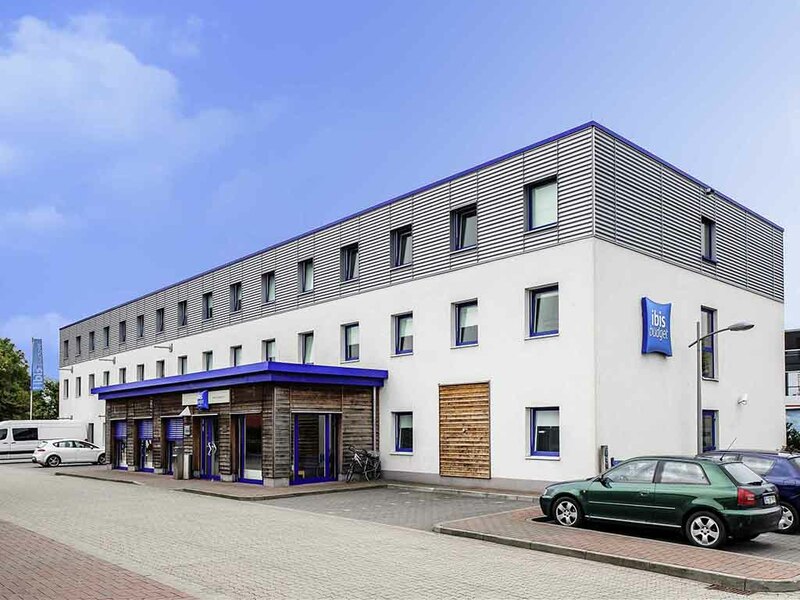 The ibis budget Flensburg Handewitt hotel is located right next to the "Scandinavian Park" shopping and leisure center, 15 minutes away from the city center and conveniently located near the A7 highway. The hotel has 77 air-conditioned rooms and WIFI acce ss (chargeable). Pets may stay ONLY on request and for a charge of EUR 10 per day. Free parking for cars, buses and trucks can be found next to the hotel. The Flensburg city tax does not apply in Handewitt.